Researchers from the Karlsruhe Institute of Technology (KIT) have developed a process using glass for additive manufacturing techniques. The scientists first mix nanoparticles of high-purity quartz glass with small amounts of liquid polymer; they then cure the mixture with light at specific points through a process called stereolithography. Complicated high-precision structures made of glass can be manufactured in a 3D-printing process developed at the KIT. Courtesy of KIT. The material, which remains a liquid, is then washed out in a solvent bath, leaving only the desired cured structure. The polymer still mixed in this glass structure is subsequently removed by heating. 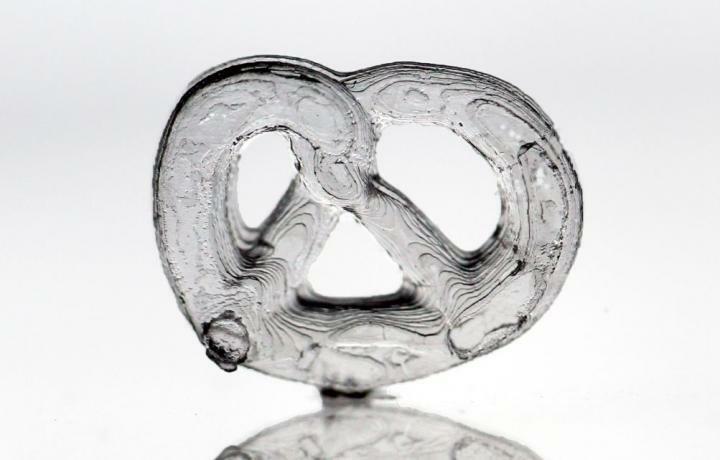 "The shape initially resembles that of a pound cake; it is still unstable, and therefore the glass is sintered in a final step — in other words, heated so that the glass particles are fused," said group leader Bastian Rapp. 3D-printing techniques have primarily been used on polymers or metals. In instances where glass has been processed into structures, Rapp said the surface tends to be very rough and the material is porous and contains voids. "We present a new method, an innovation in materials processing, in which the material of the piece manufactured is high-purity quartz glass with the respective chemical and physical properties," said Rapp. The glass structures made by the KIT scientists show resolutions in the range of a few micrometers - one micrometer corresponding to one thousandth of a millimeter. However, Rapp said the structures may have dimensions in the range of a few centimeters. Future applications include biological and medical technologies where very small analytical systems could be made out of miniaturized glass tubes. In addition, 3D-shaped microstructures of glass could be employed in a variety of optical areas, from eyeglasses meeting special requirements to lenses in laptop cameras. 3D printed glass could also be used in data technology. 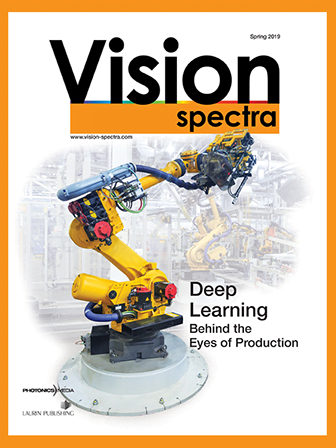 "The next plus one generation of computers will use light, which requires complicated processor structures; 3D-technology could be used, for instance, to make small, complex structures out of a large number of very small optical components of different orientations," said Rapp. The KIT research has been published in the journal Nature (doi:10.1038/nature22061).